Do you ever watch an old movie and realize things about the movie that you didn't before? We do. 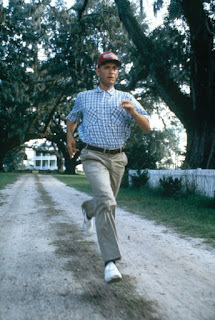 When we rewatched Forrest Gump recently, we found that Forrest — ping pong celebrity, Medal of Honor recipient and shrimp boat captain — has a lot of valuable lessons to offer. Some of his famous quotes can even be applied to marketing. Forrest and Jenny’s relationship isn’t exactly what we’d consider “relationship goals,” but in Forrest’s mind, she was his soul mate, and that’s all that matters, right? That’s not how it works in the business world. Unlike Forrest and Jenny, your staff and clients have to be on the same page. Your staff members might be like Forrest. They may get off the phone with a client thinking, “Wow. We go together like peas and carrots.” But after reviewing the calls, you may find that from the client’s perspective, they think the exact opposite. To solve this problem, regularly evaluate call recordings to help you track mishandled calls. This will allow you to find the holes in your staff’s performance and kick up your training so your team provides top-notch customer service and lands more sales. Forrest Gump’s momma is right: Life can be unpredictable. Perhaps the most memorable of the many Forrest Gump quotes, this one especially rings true in the marketing world. You may think your marketing reflects what your prospects are interested in, but in reality it may not always line up with what they really want. Speech-recognition technology allows you to select keywords specific to your organization to be identified during phone conversations. You can then review the flagged calls so you can uncover the ones that require attention or have the highest revenue potential. Letting go is difficult — take it from Forrest, who held on to the same girl for decades despite the grief she caused him. Like Forrest, you may love something that doesn’t give you anything in return. If a marketing campaign doesn’t generate any leads, it may be time to let it go and reallocate your budget to a campaign that does. Keeping track of ad performance can help you figure out which campaigns are the Jenny to your Forrest. Call tracking software will enable you to record how many phone calls your campaigns produce by assigning a unique toll-free number (TFN) to each one. Once you realize which campaigns aren’t providing any return, you can start focusing on the ones that do. Are cult classic movies your marketing advice love language? Check out our post "Star Wars Branding Partners That Nailed Their Marketing."